Add this Secret Ingredient; Enhance your Health and Beauty! Facing a day with low energy? Worried about the new acne? Tired of dandruff? Feeling that you look older? This element can help you solve them all! All of us are aware of the wonderful uses of a lemon. Be it its rind or the refreshing pulp, everything of that lemon adds a distinct flavour and aroma to wherever it is put into use. In this write up I am going to be emphasizing on the wonderful benefits of lemon on the health. Lemon is the yellow fruit available most widely and commonly all year round. The variety of lemon most popular is called the ‘Eureka’ lemon. Lemon is high in the content ‘citric acid’ and is thus sour to taste. This fruit is most commonly used for its juicy pulp which is used in food and beverages and also as cleansing agents. The rind or the zest is widely used for baking purposes. It is a rich source of Vitamin C. 100 grams of Lemon suffices for 64% of the daily recommended dose. The lemon essential oil is derived from the rind of the lemon. It is produced by the process of extraction which is cold pressing the rind. 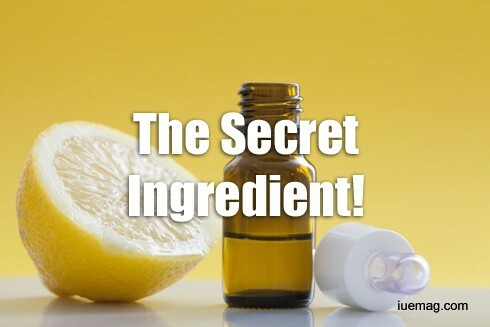 Typically it takes 3 lemons to make one ml of lemon essential oil. Whoa! That’s some concentrated stuff right? The content in the lemon essential oil is majorly Limonene and a small percentage of monoterpenes. Well this essential oil like most others is volatile and the aroma is tangy, refreshing and is proven to enhance and uplift the mood of an individual. 1. Antibacterial – This oil has the property to work against bacteria, thus keeping the skin away from infection. 2. Anti- Acne- Lemon essential oils are believed to work against the acne causing bacteria. It is also said to have been working for the optimal oil secretion thereby reducing acne and regulating the sebum production. 3. Skin Lightening and de pigmentation- Being rich in Vitamin C, Lemon oils help in natural de pigmentation, lightening the skin and thereby providing an even skin tone. 4. Helps fight Eczema: Vitamin C being acidic in nature works very well to fight eczema and its associated changes with the skin. 5. Helps reduce dandruff: For beneficial results, you can pour a drop or two in cotton and dilute it with a little water and apply over affected areas. 6. Slows aging: Lemons act as a rich source of antioxidants and thereby helps in the remodelling of collagen along with reducing the appearance of wrinkles. Thus giving a more youthful and glowing skin. Safety precaution: Make sure you don’t expose the skin treated with lemon essential oils to the Sun for at least 12 hours. Apart from all these wonderful benefits, Lemon essential oils are also popular for its benefits of enhancing the mood and uplifting your spirits. Awesome isn’t it? It sure is! Cheers! Any facts, figures or references stated here are made by the author & don't reflect the endorsement of iU at all times unless otherwise drafted by official staff at iU. This article was first published here on 29th December 2016.